The woman admitted that she had come to Hyderabad three times earlier as well to hand over the cocaine. The woman, Anamika, said she procured cocaine from an African national. A 30-year-old woman was caught with 105 grams of cocaine at a bus stand in Hyderabad. 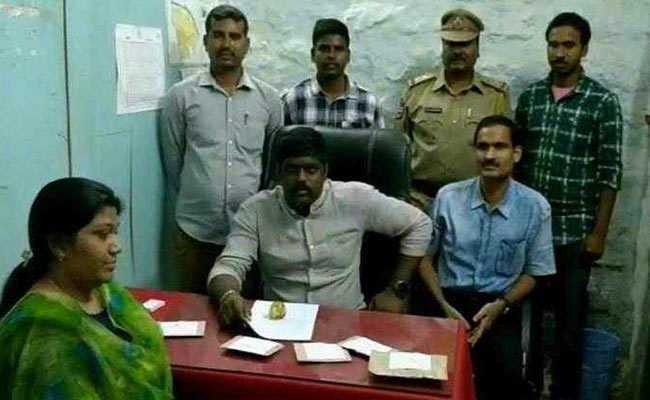 The woman, Anamika, said she procured the cocaine from an African national in Bengaluru and was in Hyderabad to sell it to some "unknown consumers". Anamika was waiting at MG bus stand to hand-over the cocaine packet when the officers of Special Task Force of Prohibition and Excise caught her red-handed. The woman admitted that she had come to the city three times earlier as well to hand over the drug. Police said they are investigating about the consumers and will catch them too. Last week, a 29-year-old Nigerian national was arrested for illegally possessing cocaine worth Rs 37.76 lakh. Last month a Nigerian national was caught in Ahmadabad by the Narcotics Control Bureau and cocaine worth Rs 1.5 crore was seized from him. For more news from Hyderabad, click here.